The No Student Hungry Programme (NSH) aims to provide modest food allowances for needy students and give them daily access to a balanced meal. 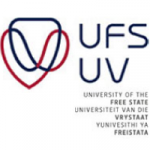 The programme was started in 2011 by Prof. Jonathan Jansen, Vice-Chancellor and Rector of the UFS. The NSH funds more than 100 students every day, to help them to excel in their academic endeavours and, ultimately, to obtain their degrees. 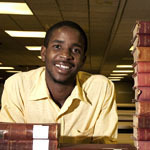 In 2011, Prof. Jansen discovered that a significant number of students were studying without eating on a regular basis. These were often students with strong academic records but without adequate funding for regular meals. Prof. Jansen donated the proceeds of his book, We Need to Talk, to establish the project. The project was established in January 2011 when the NSH Team started to develop the structure and processes of the programme. The first 100 students who were awarded the food bursaries started using their student cards for daily meals on campus on 1 April 2011. Prof. Jansen’s wife, Grace, and Dr Carin Buys, wife of Mr Rudi Buys, Dean of Student Affairs, volunteered to drive the programme and raise funds for the project. They are supported by various divisions within the university. Agreements have been reached with several food outlets on campus which offer healthy, balanced meals. A daily amount is loaded onto the student cards of participating students, allowing them to use these convenient outlets for their daily meals. At the end of the year the process is reviewed and students who still qualify are retained on the programme, whilst those whose circumstances have changed or are no longer in need of the food allowances make way for new applications. The NSH Team meets with students on a regular basis to offer training, motivation and opportunities for personal growth and career development. Students are also expected to become involved in university or community projects as a way of ploughing back into the community. The goal is to expand the project annually as support for it grows. The raising of funds is a continuous process involving awareness campaigns, seeking of partnerships with companies and institutions and support from the general public, staff and individuals.